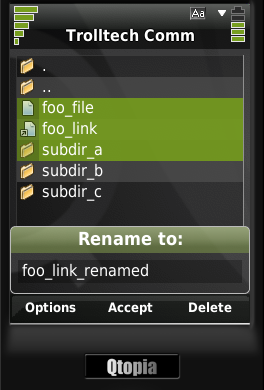 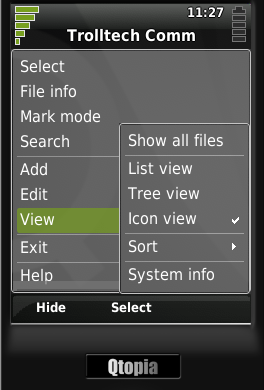 FileManager does exactly what it’s name implies, it was intended to have something like FExplorer for Symbian S60 on the Greenphone. 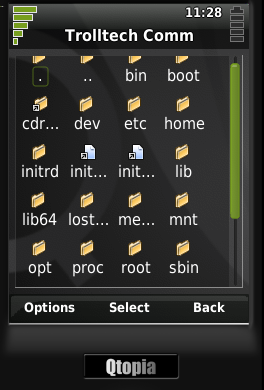 You can quite comfortably navigate trough the Greenphone’s filesystem and modify it freely (and damage it even easier). 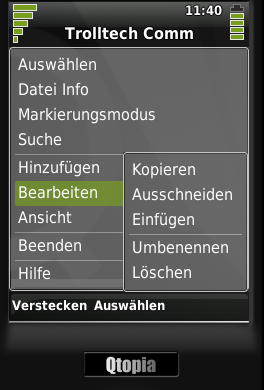 The current version can be called stable, most intended features are implemented and no crashes occur (testing, anyone?). 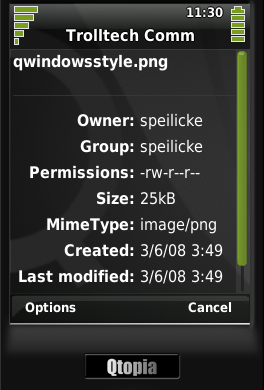 FileManager was an one-week start-off project to get started at Trolltech. 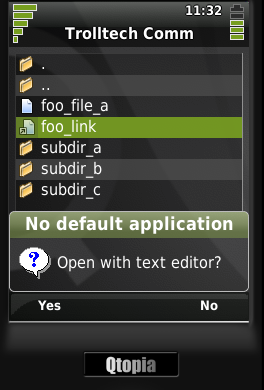 So don’t expect well-written code or even a reasonable code size.